Alexander Hamilton Autograph Letter Signed. Rare autographed letter signed by Alexander Hamilton regarding books missing from his law library. One page, the letter is addressed on the verso to Hamilton’s personal friend and fellow lawyer Richard Varick. The letter reads, “New York June 16 1795 I beg the favour of you to cause a search to be made in your office for books belonging to me, and if any are found to send them to me. Inclosed [sic] is a list of books which I miss – There may be others of which I have neither minute or recollection – but believe my name will be written in any that belong to me. I am sir your very obedt. servt A Hamilton.” Accompanied is a list of Hamilton’s missing books titled “Deficient books of Mr. Hamilton’s Law Library” which includes volumes by Strange, Burrows, Wilson, and Buller. The recipient, Richard Varick served as the second Attorney General of New York from 1784 to 1789 and the 45th Mayor of New York City from 1789 to 1801. 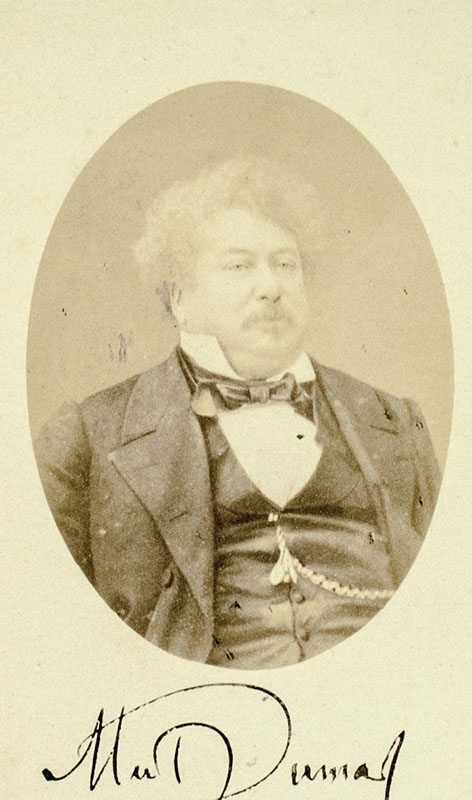 As Mayor, Varick focused on the yellow fever epidemics which struck repeatedly and revised the statutes of New York with fellow lawyer Samuel Jones. 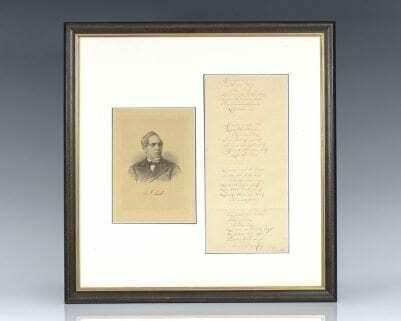 Double matted and framed with an engraved portrait of Hamilton. The entire piece measures 24 inches by 13 inches. Andrew Jackson Autograph Executive Patent Signed. Original patent executed and signed by Andrew Jackson as President of the United States. Two folio vellum leaves. Engraved vignette header, embossed paper seal with ribbons, ribbon bound. Signed by President Andrew Jackson on April 3rd 1835. 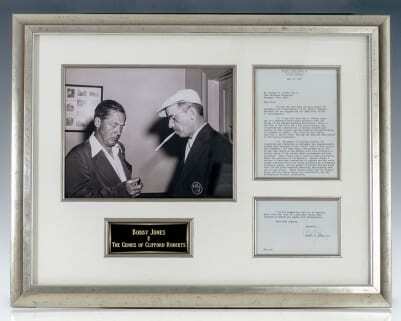 Countersigned by Secretary of State John Forsythe and Attorney General Benjamin F. Butler. The patent is issued to “Elisha Holton, a citizen of the United States, who hath alleged that he has invented a new and useful improvement in the construction of a grist mill.” The second page contains a lengthy hand-written description of the construction and design of the grist mill signed by Holton on the verso. Also bound in is an original hand-colored technical drawing of the grist mill. In fine condition. The entire document measures 15 inches by 11.5 inches. Uncommon. Rare and desirable in this condition and format. Autograph Transcription Signed of My Country ‘Tis of Thee. 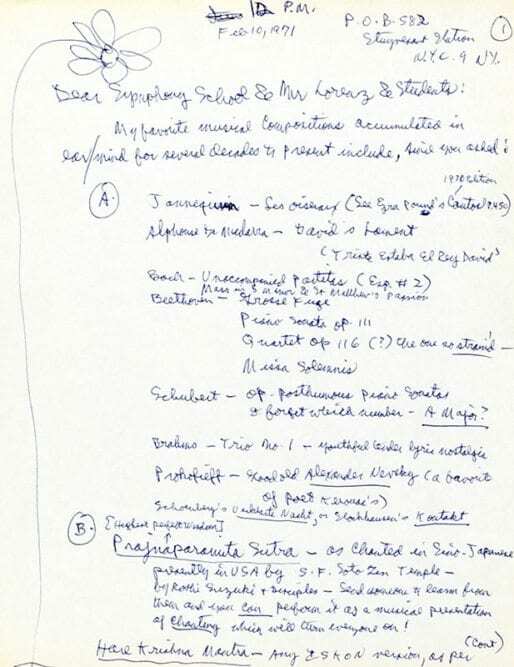 Autograph transcription of the first four stanzas of the American patriotic song My Country ‘Tis of Thee, which served as one of the de facto national anthems of the United States before the official adoption of The Star Spangled Banner in 1931. Transcribed and signed by lyricist Samuel Francis Smith all in his hand, “My country, ’tis of thee, Sweet land of liberty, Of thee I sing; Land where my fathers died, Land of the pilgrims’ pride, From ev’ry mountainside, Let freedom ring! My native country, thee, Land of the noble free, Thy name I love; I love thy rocks and rills, Thy woods and templed hills; My heart with rapture thrills, Like that above. Let music swell the breeze, And ring from all the trees Sweet freedom’s song; Let mortal tongues awake; Let all that breathe partake; Let rocks their silence break, The sound prolong. Our fathers’ God to Thee, Author of liberty, To Thee we sing. Long may our land be bright, With freedom’s holy light, Protect us by Thy might, Great God our King. Samuel Francis Smith.” Double matted and framed with a portrait engraving of Smith. The entire piece measures 18.5 inches by 18 inches. In near fine condition. A unique piece of American history. Charles de Gaulle Photograph Signed. Rare original photograph of French general Charles de Gaulle in uniform. Signed by Charles de Gaulle in the upper left corner of the photograph which measures 6.75 inches by 9.5 inches. Double matted and framed. The entire piece measures 16.75 inches by 14.75 inches. Included is a handwritten autograph letter signed by Charles de Gaulle’s eldest son, Philippe de Gaulle who served as and French naval officer and senator on Marine Nationale letterhead in the original envelope. Additionally included is the original transmittal letter for the photograph signed by General de Gaulle’s secretary and dated November 25th, 1950. In fine condition. Rare and desirable and with noted provenance. Rare original photograph of a young Charlie Chaplin. 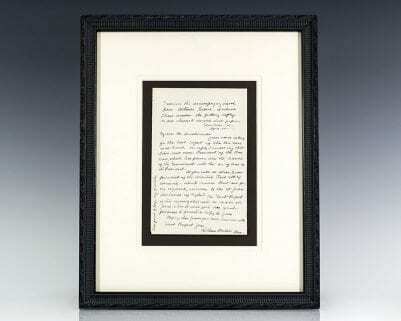 Signed by Chaplin beneath his portrait, “Faithfully Chas Chaplin.” In fine condition. Double matted and framed. The photograph measures 7 inches by 5 inches. The entire piece measures 17 inches by 14.5 inches. Rare and desirable.